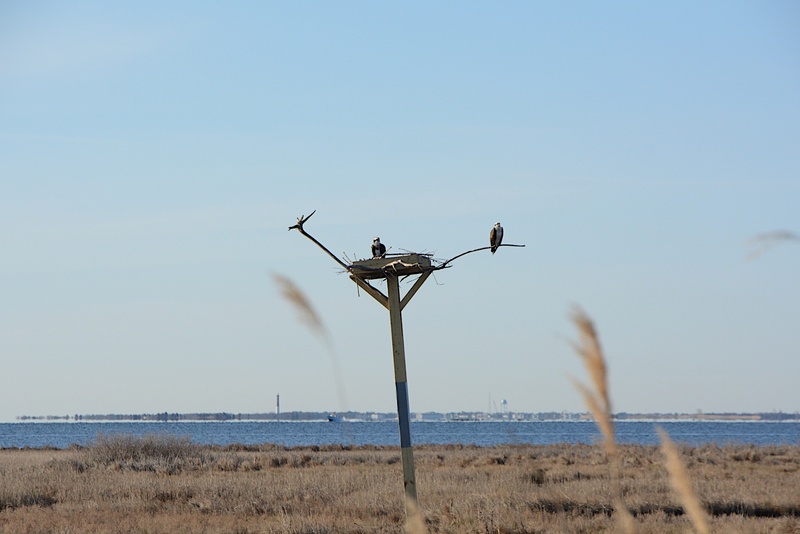 Yesterday I watched these recently arrived raptors comfortably settling in on top of a nesting platform erected only weeks ago under the auspices of the Conserve Wildlife Foundation of New Jersey and NJ Division of Fish and Wildlife. 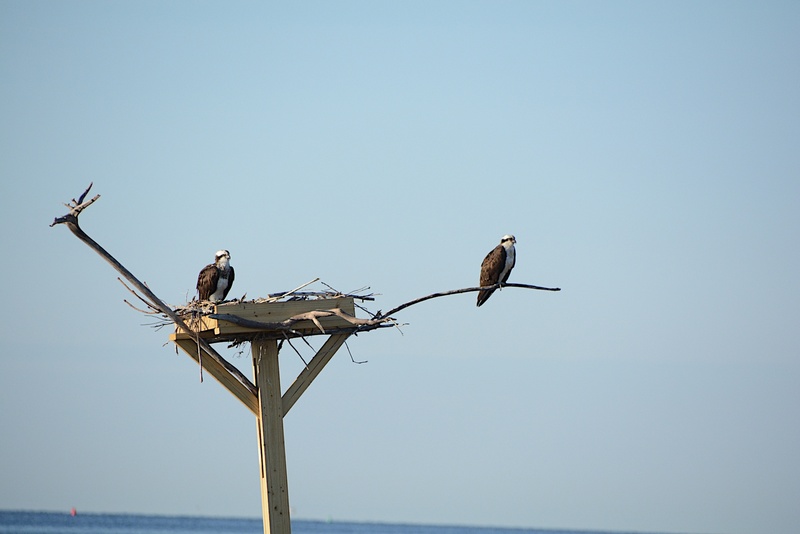 The female (note darker breast coloring,) helps decorate with the sticks and twigs her mate brings over during the move-in stage, and she will eventually sit on the eggs as he guards and provides fresh fish daily. 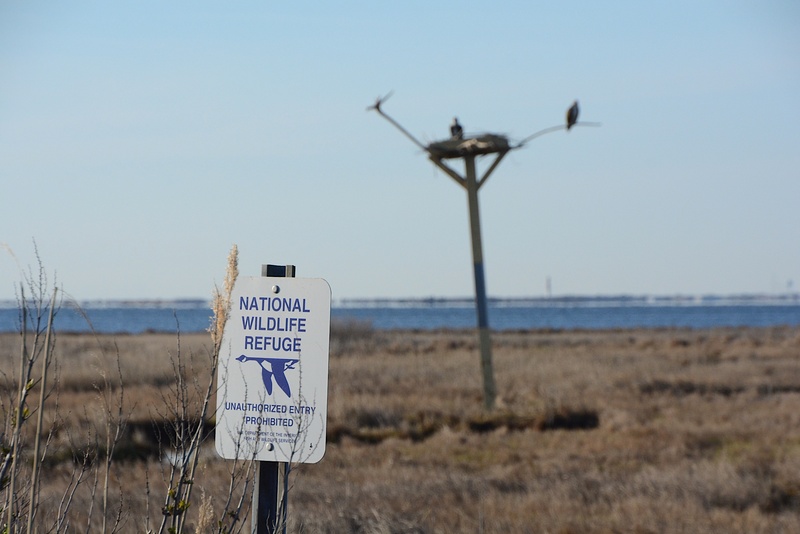 In the above image, Barnegat Lighthouse is a few miles beyond. Note the painted aluminum “predator Guard” on the post, primarily designed to keep raccoons from climbing to the nest. 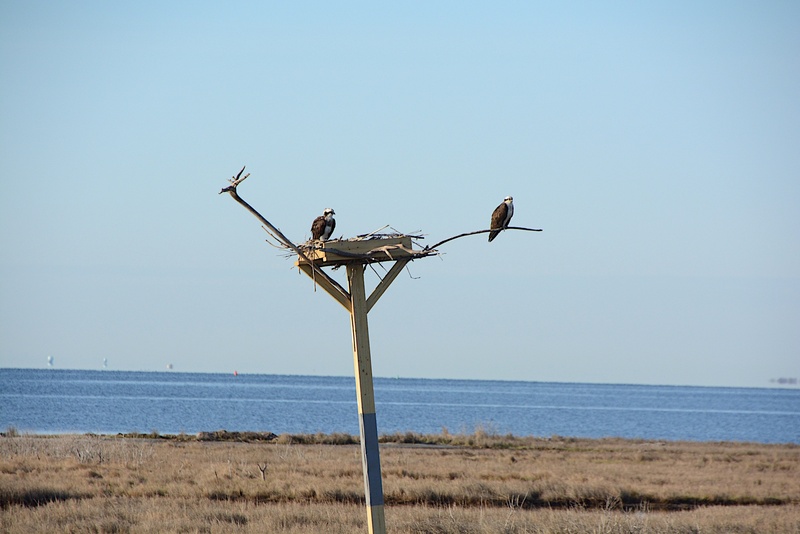 Osprey are persnickety, in that if unduly disturbed while selecting a breeding home, they will leave. Viewing needs to be from a respectable distance. Thanks for visiting, and comments are always welcomed. Long Beach Island was one of my favorite places when I used to live in New Jersey. Thanks M.! great post … I think we need some platforms around here too!